I always think of winter as a barren, dark time, but really it isn't. Winter sparkles, winter renews, and even though the trees are bare, the natural world is anything but dead. The absence of the leaves just makes for a different view of the world. I think the berries, in this tree full of robins, are Mountain Ash. The fluffy bits are the seeds of a vine called Traveler's Joy. It seems to be taking over the tree in the best way. The birds here are very busy during the winter. The ones that stick around are always clamoring for food. When it gets really cold, some of the chickadees are gutsy enough to land in your hand for a few seeds. I love days when everything is frosted over. The snow pack hasn't started to melt yet, so Elliot Bay is crystal clear. It looks almost tropical, but, man it does not feel tropical! what a pretty place! that robin is too cute!! Beautiful...so enjoyed the visit! Was that a robin?? 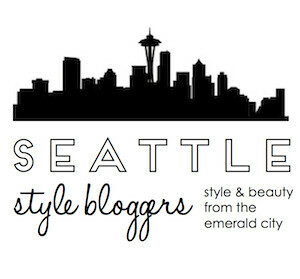 What gorgeous shots of Seattle, Catie! This city is certainly not devoid of color during the winter (though we have experienced an unparalleled amount of grey with all the fog as of late. Such a great eye. I love the bird photos, these would frame beautifully!! Do you sell your prints? We live in such a beautiful place- you've captured so many peeks into its natural beauty! Oh my goodness, the pictures are breathtaking. I can't get over the first picture. It looks straight out of a postcard. Amazing photos, Catie! You are becoming quite the photographer.